Face the traumatic events of Parker's childhood and seek justice. 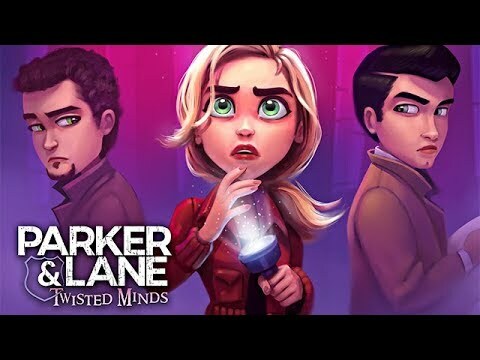 "Parker and Lane: Twisted Minds is really, really fun! If you love detective shows like I do, you'll love this game. It reminds me of The Closer, which is one of my favorite detective shows. I love the characters and the gameplay. It's a lot of fun and has a great story line. You will love it!" When a killer from Detective Parker’s childhood plots a series of murders, she must face her past before it steals her future. Join Lily Parker and Victor Lane as they try to solve their most mysterious crime yet. Yet, what is to come may be too much for even her extraordinary detective skills. A restaurant owner is found standing over a dead body with a bloody knife in his hand. An open-and-shut case, right? But Parker has doubts. The traumatic events of her childhood are coming back to her, and the M.O. appears to be the same as back then. But when more victims start to fall, all the evidence points to one person - Parker. Unravel the mystery, find justice for Parker and the victims, and bring back law and order.